The city of Pune in Maharashtra is often overshadowed by its more glamorous cousin Mumbai. However, Pune can give Mumbai a run for its money with its greenery, low cost living, hill stations, and its heritage. One of the youngest populations in India, Pune is a tech and education hub, and has seen some impressive architectural marvels appear in recent years. Combined with the already existing historical buildings, Pune boasts of some of the coolest buildings in India. Built in 1892, the Aga Khan Palace in Pune is an architectural beauty like no other. It is one of the most popular and significant landmarks in India. Originally, built by the Sultan as an act of charity for the poor and needy victims hit by a devastating famine, the building is still a major draw in Pune because of its majestic architecture. The building stands in an area of 19 acres, and its picturesque beauty is a sight to behold. The white marble memorial, which served as a prison for several Indian freedom fighters (including Mahatma Gandhi) was designed by celebrated architect Charles Correa, and is instantly recognized from afar. Another historical monument, Mahadaji Shinde Chhatri is recognized for its imposing architecture on the banks of the Bhairoba stream in Wanavadi. 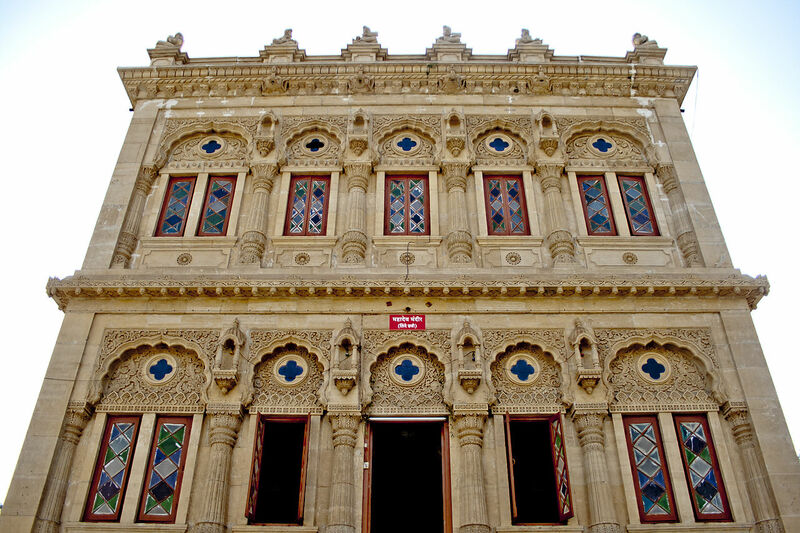 Built in memory of Mahadaji Shinde, the commander-in-chief of the Maratha army, the building is an amazing blend of Rajasthani and British architecture. The roof is decorated with statues of saints, while the ornate pillared hall, the beautifully colored window panes, and the decorated ceiling are all worth seeing. This historical building draws visitors throughout the year. One of the biggest temples in Pune, the ISKCON temple is another architectural marvel in the city. Built over six acres, this devotional center is a majestic structure made of marble. Each pillar of the building has two Gopis and one elephant engraved at the base. The gold-embossed altar doors and the transparent marble flooring glowing in diffused lights enhance the beauty of the building. The lotus-shaped dome with a carving of Lord Krishna and the three-dimensional paintings decorating the interiors are some of the noteworthy aspects of the temple. Built over 150 years ago, the Pune College of Engineering is not only a premier educational institution, but also an architectural gem, instantly recognized all over the city with its Victorian-Gothic style structure and sixty-feet high tower. One of the first Gothic revival buildings in the country, the building was restored in 2012 after years of neglect, and has regained its former glory. The Saracenic-Gothic structure is a blend of Maratha and Gothic influences, with crenelated brackets and parapets and brackets. Although not a historic building in any way, the unique dome shape of the hi-tech Infosys building in Hinjewadi has made it quite famous all over the country. From the outside, the structure looks like a descending UFO. Designed by architect Hafeez Contractor, the building is an example of futuristic architecture, which is both environmentally friendly and sustainable. Although the design of the building has been called ‘weird’ by many, it has certainly managed to get a lot of attention with its unique shape and stunning glass façade. Right across from the Infosys building stands the Tata Technologies Campus, another futuristic architectural marvel designed by Charles Correa. The structure is built around three large courtyards which bring together the larger building units. The building is not designed like a typical glass structure, and is known to be much more comfortable for the tropical Indian climate. Pune is India’s first hi-tech city; no wonder there are several landmark buildings representing the future of architectural design that have sprung up all over the place. Adding to the list is the Falling Lotus Blossoms EON IT Park, a complex of four buildings that look like a cluster of lotus. Spread over four million square feet, the campus has a geometric structure inspired by the national flower of India. The structure looks like a four-leaf clover with an open space in the center. Even though the open spaces cannot be used in summer, the structure has attracted a lot of interest ever since its inception in 2014.